Medicare Advantage Plans Shift Their Financial Risk To Doctors; Do Patients Win or Lose? A study that examined care at ChenMed, published last month in the American Journal of Managed Care, found health costs were 28 percent lower among patients who had more than double the number of typical visits with their primary physician. The study was conductedby researchers at ChenMed and the University of Miami. Medicare beneficiaries, who can choose a private health plan during the open-enrollment periodthat runs from Oct. 15 to Dec. 7, generally have no idea if their health plan has ceded control of their care to these large doctors’ groups. Nearly one-third of the 57 million Medicare beneficiaries are covered by private Medicare Advantage plans — an alternative to government-run Medicare — and federal officials have estimated that the proportion will rise to 41 percentover the next decade. The government pays these plans to provide medical services to their members. That’s what happened in the late 1990swhen some physician-management companies such as FPA Medical Management and PhyMatrix took on financial risk from insurers only to later go bankrupt, interrupting care to thousands of patients. This entry was posted in Free markets and their discontents, Guest Post, Health care on October 10, 2018 by Yves Smith. Nice mention of Dr. Brant Mittler, I tweeted it so he could see this article as we communicate. Indeed you are correct on the So Cal model, I live there. When you look at managed care, you will also find that United Healthcare is now the largest employer of doctors in the US, more under management than Kaiser. They also have doctors managing hospice care and taking on the risk there as well. Pay for performance, as if they don’t make the bonus money, their income averages around 12% less than Medicare pays with payment for services. Of course, you can add on the OptumRX PBM who controls and manages the prescriptions these patients receive as well, I call it quantcare, it’s not real healthcare anymore. Quantitative Analysts are making too many of the decisions and running it all off of risk assessments, and some of the black boxes are just that when it comes to the risk math associated with the care given. The Direct primary care model offers a nice alternative for day to day general medical care coupled with having insurance for anything major. Choosing a Medicare Advantage plan is like checking into the Hotel California. While seniors can switch between competing Advantage Plans during open enrollment, (assuming of course that they live in an area where multiple options are available, and that insurers continue to offer attractive plans) but switching back to Original Medicare is problematic for those with preexisting conditions. While they can re-enter Original Medicare, they cannot be assured of obtaining Medigap or supplemental coverage, leaving them exposed to significant out of pocket expenses for serious illness. Many Advantage plans, particularly those with low or no premium, are HMO type plans with narrow networks, controlled access to specialists, and all of the other things that make people hate HMOs. And even if a senior finds a plan that works well for their needs and lifestyle, there is no guarantee that the plan will be available in future years. As far as I can distill it down, Advantage plans usually provide no cost or very low cost prescription meds in return for restricting the physician and facility choices of their members. But the drug formularies are subject to change at any time, so if an expensive drug is dropped from the formulary or placed in a higher cost tier, the senior is s**t out of luck and may be stuck with crappy docs and no way out. And Advantage plans, as demonstrated by this article, are fast headed for future crapification. Many seniors, completely unbeknownst to them, are being herded via these plans into global risk arrangements in which their entire medical team is incentivized to keep the cost of their healthcare down. I would never let anyone that I cared about choose a Medicare Advantage plan. 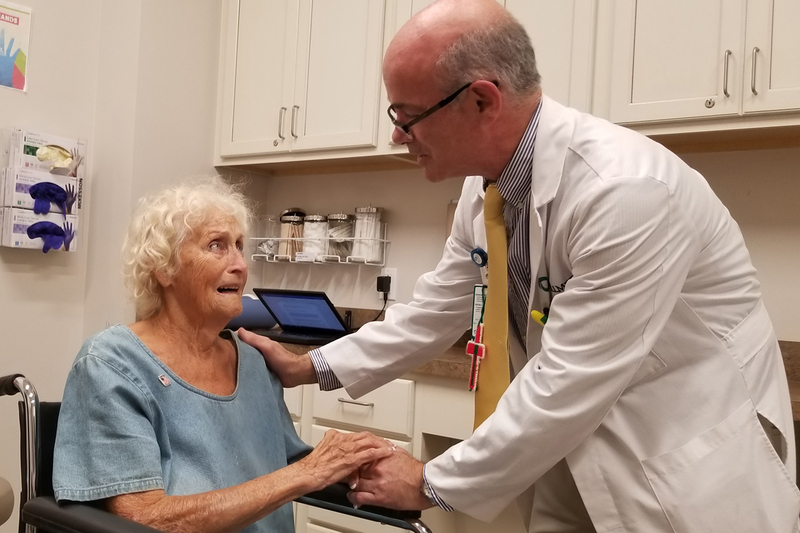 One difference between Medicare advantage and a traditional HMO plan, at least for now, is that the flat fee the provider gets from Medicare to provide patient care is pretty generous. My father got pretty sick when he was in such a plan and I was really worried about how his MA HMO would treat him but they were great, even for out of network things when he ended up in the hospital for a week and then with a month of PT while visiting me. I ended up having several long chats with their administrative people and I concluded they were still making money off him, or at least breaking even, despite his care needs. Of course, no guarantees that will continue. And some HMOs are worse than others. But he might not be offered a new hip that his healthier peer is able to receive. The real problem with these setups is that, like HMOs, they are a good value when you’re healthy, but woe be the chronically ill. No incentive for doctors to take on difficult referrals. The patient with lifelong PTSD from childhood abuse who develops MS and cancer? Sorry my clinic is currently full. And that is the name of the game. When it comes to risk management in healthcare nothing beats selecting the healthiest patients otherwise known as cherry picking. And trust me the big plans are really good at cherry picking. I am a doctor and I have been with Kaiser for over 25 years. I am now in a Medicare advantage plan with Kaiser Southern California. I continue so very pleased with the care I get and the “system” managing my care is terriffic. Anyone who tells you anything negative about this HMO is either not able to figure out how the “system” works or they just got unlucky and have a bad doc. Switching doctors is easy as going online and choosing a new one. No explanation needed. Getting referral to specialist has always been easy for me. Appointments for regular care within 2 weeks. Appointments for specialist care within two weeks. I LOVE KAISER. I will never switch. The surgeons are fantastic. I just had surgery July 19, 2018 And I cannot even hardly see a scar. I have so much confidence in Kaiser doctors I had cataract surgery in both eyes at the same time! Is Kaiser a huge, fairly wealthy non-profit organization? Or are they a for-profit company like United Healthcare & Humana called on the carpet by Wall Street hedge funds q 3 mos quarterly report? I would like to know this also- I’ve heard it both ways. It started as the company doctor system for Henry Kaiser’s industrial empire based in Oakland, CA. If you’ve heard of the “Kaiser Willy” car, he built it. Shipbuilding, aluminum, etc. Kaiser Permanente is all that’s left. I can’t tell if it is non-profit or owned by a bunch of doctors and is just very well operated. I won’t settle for Blue cross/aetna etc. after using Kaiser. It’s amazingly good for what it is. But, yes, there are always rough patches and you have to be your own advocate. It looks like there’s a ton of incentive for these plans to de-select unhealthy, expensive patients. I expect to read horror stories about their failures ten years from now, just like every other time the US health system went with something other than public provision of care.